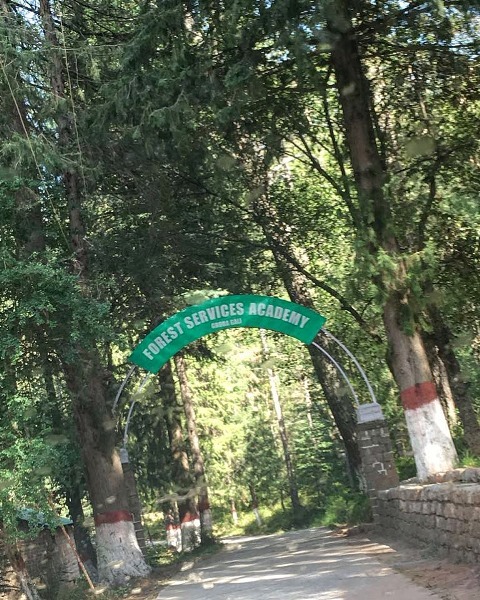 I’m still processing my feelings after spending three nights in the middle of a local forest managed by Forest, Wildlife and Fisheries Department of Pakistan. There is so much that needs to be expressed because you cannot sum your experience up in a hashtag when it comes to the profoundness brought by nature. In comparison to other people, a sedentary lifestyle and a higher body mass index (BMI) barely helps you when climbing a few stairs or performing day-to-day physical tasks without experiencing fatigue. Walking for a few minutes seems like a never-ending task and shopping in a mall results in an aching body, reminiscent of a whole day’s weight training. Standing in line, cleaning your own dishes or simply keeping up with sporty friends seems like a road to physical strain. It’s not that a heavier BMI limits you from engaging in physical activity, but as it is in my case, it diminishes the motivation to do so. Despite all the aforementioned difficulties, I had nothing but full confidence that I’d easily hike my way up and down throughout the trip with zero flat land to walk onto. It turned out to be the naive confidence of an ignorant person, since hiking is one of the most difficult physical activities out there. But I chose to go through this because of the monotony and frustration that I experienced in my life. I guess that the haunting feeling of being compartmentalised or being stuck in a routine loop was far stronger than the risk of experiencing a little physical discomfort. 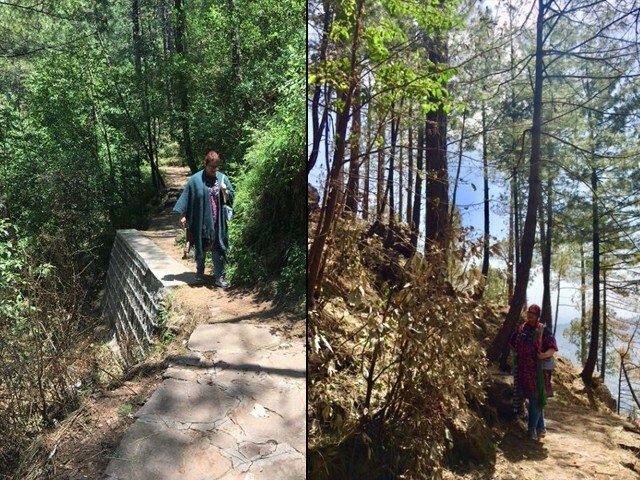 My first challenge was met at Forest National Park, Bansra Gali, where I showed new heights of poor stamina to the invisible audience in my head, by being incompetent enough to persistently climb, even for five minutes straight. If that wasn’t enough, local children passed by us swiftly, wearing casual sandals. If kids can do it, why can’t I? These are local kids; they have probably never walked on a straight land and are accustomed to walking here. But that’s the thing with a higher BMI; it leaves you feeling guilty about yourself, even in the face of contrary evidence, and wants you to defy all laws of gravity and limits of physiology. You are no exception but in that moment, it feels like you are the only obese person left on planet earth. My guilt got a little better when I saw a sweaty and breathless guy lying on the way, refusing to climb anymore and getting shamed by his agile and well-built friends. “Well, at least I’m not giving up like that,” I told my partner only to receive a chuckle, which I took as a sign of encouragement. Thankfully, my stoic partner turned mellow after a while (fearing my dramatic fit in public) and stopped every few minutes so that I would not get breathless or sick. Even my pictures turned out well as I looked deceptively frail against the huge frame of mountains amidst tall trees. However, the bliss lasted for a brief interval. We hiked our way up and the path got narrow enough to barely accommodate one person at a time. The sight was enough and I got struck by a bad case of vertigo. Thanks to Mother Nature for the trees, I could cling on to them and felt considerably better. The vertigo, too, subsided eventually when I took my time to get comfortable with the height. Also, I took the advice of my travel partner and focused only on my path. I made short distance milestones to achieve without stopping and basically did the hike in intervals, which is a very ideal way for people with higher BMI to start with. I really feel that those with higher BMIs and a passion for travelling, especially hiking or trekking, should not bow down to fear. With these advices and proper breathing patterns, hiking can be done and enjoyed easily. Also, there is always an option to discontinue if you reach your capacity – even though it gets easier after the first 30 minutes. 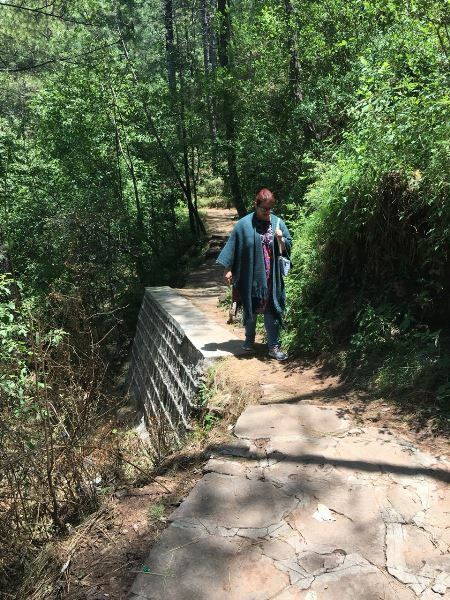 For long and tough hikes to challenging treks, unlike my trek, people with higher BMI should really work on building their stamina through either taking short hikes or at least running daily for about a month before their journey. A break from smoking for a couple of weeks is always advised by professionals if you are pressing for a tough hike. Apart from my own fears and anxieties regarding my weight, there was another thing that kept distracting me during the hike. Nowhere in my imagination had I anticipated litter in such a secluded forest. I was aware how local tourists pollute the places up north, but I really did not expect something like that on my hike route. 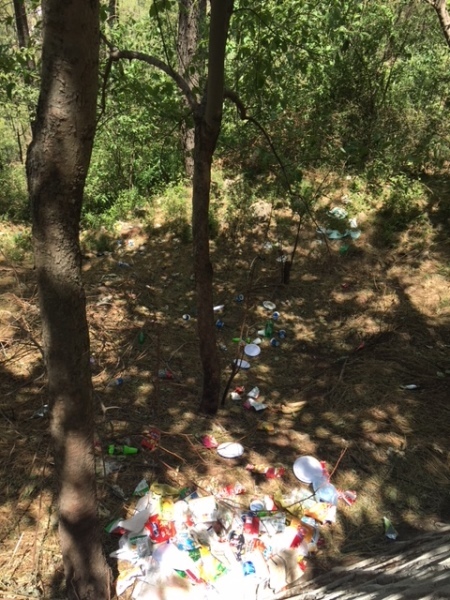 I found trash scattered throughout the path and numerous trees had been cut illegally by timber mafia. Frankly, it was a sad sight. On our way, a local kehwa seller told us that the management’s best strategy of getting rid of trash was burning the trashiest patch of forest down. When we saw him throwing the used styrofoam cups in the forest, we spent half an hour trying to convince him to recycle properly, and the seller eventually agreed half-heartedly, only to get rid of us. With poor taste, I continued my journey and eventually reached the first destination which was a rest point. As soon as we reached our destination, all the feel-good hormones started to kick in when I realised I had made it. Just like any other person with poor stamina, self-destructive eating habits, sedentary lifestyle and a metabolism working at a snail’s pace, I had told myself that I would definitely not make it to the top. I was sure that I would throw a dramatic fit and ruin my friend’s hike. I was scared of troubling my friend by “dumbing down” their pace along with mine. But nature helped me in ways I had never anticipated: the incredible rawness of the mountain; the unexpected changes, ups and downs, highs and lows in the pathway; the pleasurable olfactory blast by hundreds of trees that surrounded us; and the incredible mental clarity brought by the climb made it all the much lighter for me. 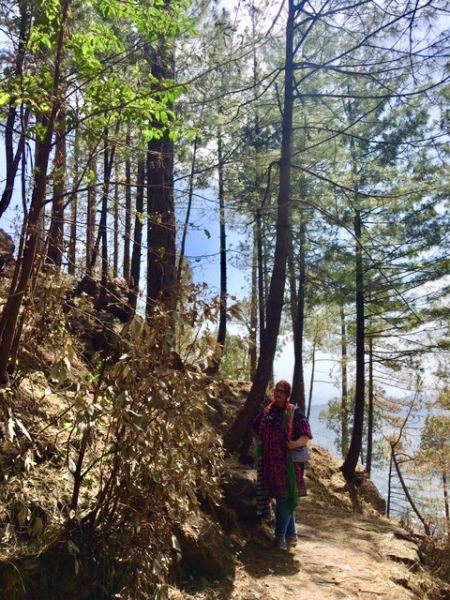 Surprisingly, I was not cranky, grumpy, irritable or tired after the experience and even accompanied my friend for another hike, after we got back to our rest house. My mind seemed not my own after the experience. 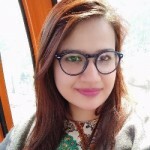 It’s not that I have never hiked before; living in Islamabad I took decent amount of hikes up the Margalla trails but that’s very different than actually living in the middle of a dense forest. I started asking myself some hard questions about the coping strategies I could use instead of eating my feelings up. My world of “Netflix and chill” seemed so unappealing and unnatural. I was desperate to make my life better. I felt receptive, surrendered and open. I felt empty, shallow and poorly managed. My life seemed like nothing but a bunch of resentments and preoccupations about people and my achievements seemed so extrinsically motivated and sad. My bubble was burst and I was released. I took my last hike amidst the dense forest filled with chirping sounds of rare birds, strangely enough reminding me of Attar’s The Conference Of Birds. 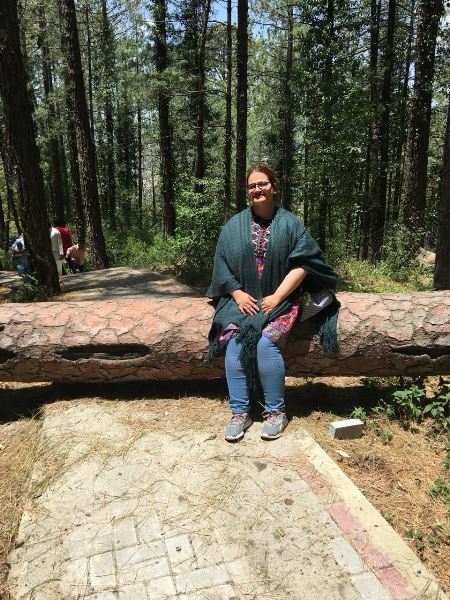 I took one last look at the variety of tall trees and could only name Deodar and Pinus. I drank the stream water one last time and cherished a dimly rustic aftertaste. I could already feel a longing to come back as I bid farewell to the place almost in tears. 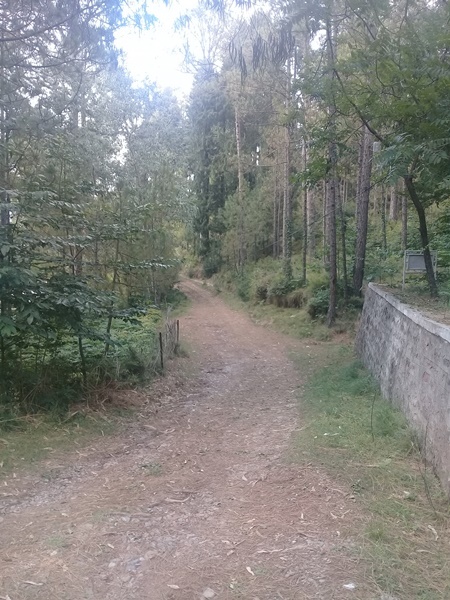 i spend daily around 2 hours deep into forest .its the only places can give peace to your mind.far away from cars and buses sounds and pollution and even people too. Kudos to the learned blogger in achieving her goal of reaching the top of the hiking trail. She set her heart on achieving a goal and she accomplished it! So glad she did it. high ground. Be sure to acclimatize your body to that altitude. It may take a day or more. Of course, not everyone has a day to sit around getting acclimatized. So, just be careful. may be just passing, which is normal, as your body adjusts, or may lead to serious complications. Depending on the cardio vascular system.